Whether you changed jobs and have new dental insurance or you have a new addition to the family and want to see a dentist who treats patients young and old, making the switch is difficult. There’s a lot of research and uncertainty, and you may not be sure what to look for. After getting recommendations from family, friends, and your doctor, take time to meet with each potential dentist and verify they have the following qualities. Ask each dentist you meet about their licenses and accreditations, but don’t just take their word for it. Verify they are licensed to practice in your state and that their license is active. Also look for any patient complaints or disciplinary actions taken. If they are licensed to administer a specific type of anesthesia, this information is also available online, which can assuage concerns if you suffer from dental anxiety. If you have little ones at home, it’s much more convenient for everyone to see the same dentist, so verify the patient ages they treat. If you want a provider who offers more than standard preventive care like dental cleanings, ask about specific services you’re interested in, like teeth whitening or other cosmetic dentistry procedures. For patients who need dentures or dental implants, it’s important to ask whether they perform those treatments in-house or if they refer you to a specialist. The staff at the dental office is the first interaction you’ll have, from your initial phone call to your first visit. Assess how each person greets and speaks with you and how they make you feel. Do you feel welcome and comfortable? Or are their attitudes cold and off-putting? 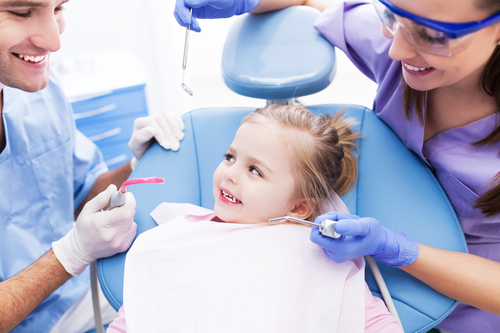 If the staff makes you—or your children—feel uncomfortable in any way, you probably won’t like the dentist either. If you’re searching for a dentist in Columbus, NE, with all of the above qualities, you’ll find them at Stadler Dental Care. They provide dental care for the whole family, ranging from tooth fillings and crowns to teeth whitening and dentures. Dr. Stadler and his team will work with you to develop a dental care plan that meets the needs of you and your family. Visit them online for more information or call (402) 564-4093 to schedule an appointment.